Happy Thursday to you all! 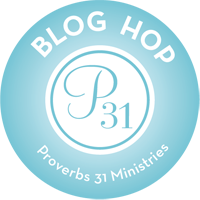 Once again, I will be sharing a little something from Derwin Gray’s Limitless Life: You Are More Than Your Past When God Holds Your Future for the Proverbs 31 Blog Hop. Sadly, this will be the last hop for this book as we finished our study this week. In Chapter 9 of Limitless Life Mr. Gray gave us the opportunity to define our life’s mission. As I have shared before, about a year-and-a-half ago, God gave me a dream and a promise. Ever since then, I have been taking baby steps toward that dream and promise. However, Mr. Gray provided me with a list of questions that had me searching my heart to find not only what the purpose of my life was but to define the person I wanted to be. Yes, I know my dream and where I want to go, but maybe that is to be for a season, my dream doesn’t make up who I am or who I am to be. I thought it would be fun to purpose these questions to my readers who are not participating in the Proverbs 31 Ministries bible study on the Limitless Life. 1. How do you want to be seen in 10 years? I want to be seen as a virtuous woman who loves and seeks God with all her heart, mind, and soul. Who truly loves and honors her husband and gladly works hard to take care of her family. Who faithfully walks in the ways of the Lord by His strength and humbly serves Him wherever and despite all circumstances all for the glory of God. 2. What do you want to be known for in 10 years? I want to be known for being used by God to lead other women into a deeper relationship with God by “getting real” and going to the ugly places; for sharing the messiness of my life to help others into a relationship with Christ. 3. What do you want your family to be like? I want a close, loving family who all live Christ-centered lives. 4. What makes your heart sing (from a sacred vocation perspective)? My heart sings when I have spoken or written anointed words that have led others closer to Christ or into a deeper or better understanding of the word of God. 5.	Who in your life will tell you the truth yourself? I will tell the member of Focus (my band) and Pastor Cathy and Jim. From all this I came up with a vision statement. Now, I wanted to focus on writing a vision statement for my ministry, but God kept reminding me that it was supposed to be my Life’s vision statement. I think he doesn’t want me to paint myself in a box. After all, my life is Limitless, I don’t want to have too narrow of a focus that I miss all that God has for me. To live a surrendered life to Christ as a virtuous woman who loves God with all her heart, mind, and soul. To live out my purpose of sincerely worshiping, humbly serving, and faithfully following the Lord in order to build God’s kingdom in the here and now by leading others into a deeper relationship with Christ and training up disciples. There was so much I wanted to put in this vision statement, but I was supposed to keep it under like 140 words. However, when I thought about it, being a virtuous woman encompasses a lot of what to be: a woman who loves and honors her husband; who works hard for her family, who loves and serves God; who takes care of herself so that she can take care of others, who holds her tongue (it did say in 10 years-I still got some time-lol); who speaks kind words that build up; and on and on it could go. In writing this vision, I was not only motivated to work harder for my dream, but I was reminded of the person I want to be. Last year I did a whole series or two on the virtuous woman. I hate to admit it, but I have been failing in this department. I am grateful of the reminder and I encourage you all to take the time to answer these questions and write your vision statement. I will be placing my several places so that I can be reminded daily of who and what I want to be. Right now God has me in a very unique work situation. It is not a dream job. I would rather be working in full-time ministry. But, it is a job that pays me a wage and offers the time and flexibility to write and study the word of God. I also work for a Jewish family and with co-workers who are adamantly opposed to Christianity (some-not all). While I don’t have a soapbox to do a lot of preaching, I am afforded opportunities to share my beliefs. Can God work in this situation? Absolutely! And I am grateful to earn a living all the while having the opportunity to chase my dream. If you have had the opportunity to listen to K-Love lately, you may have heard Mark from Casting Crowns explain their new song Thrive. He says something like too many people are living for the weekend instead of living for today. We need not only to “survive” but to “thrive” now; today; in the here and now. I am grateful I read the book Limitless Life by Derwin Gray. I think the thing I got the most out of this book was that I need to be a contributor and not a consumer. It helped me to see my selfishness regarding my church and my own spiritual walk. I am also grateful and thankful to Proverbs 31 Ministries because without this bible study, I doubt I would have read this particular book. I look forward to the next one. Remember Colossians 3:23-24: And whatever you do, do it heartily, as to the Lord and not to men, knowing that from the Lord you will receive the reward of the inheritance; for you serve the Lord Christ. You lament here that you have been failing in the virtuous woman department. But I think that this side of heaven, even on our best days we will be failing in this department. Right at the moment it seems our failures are behind us, pride steps in. When we look too long at ourselves, we just can’t win! But keeping our focus on Jesus, we continue to be transformed into His image. I know that is what you are doing, Missy, and your writings are a great encouragement and inspiration to me. Keep your eyes on Jesus! We serve a great God! Your vision looks so like mine…I too want to be a virtuous woman! That says it all I believe! It’s awesome seeing others with God centered visions. Often the visions and goals people have are scary but through this study, it was nice to draw up ours mapping it to the Word! We will stumble but we will not fail. Blessings and thanks for sharing! LOVE LOVE LOVE! Praying blessings over your vision and the dream God has placed on your heart! I love your vision statement. It sounds very similar to mine. This study is coming to an end but, praise God, there’s another around the corner. Thank you for sharing with us. Previous Previous post: Beyond the Book Review: Not A Fan: Rules or Relationship; Guilt or Grace? Next Next post: Follow the Leader?